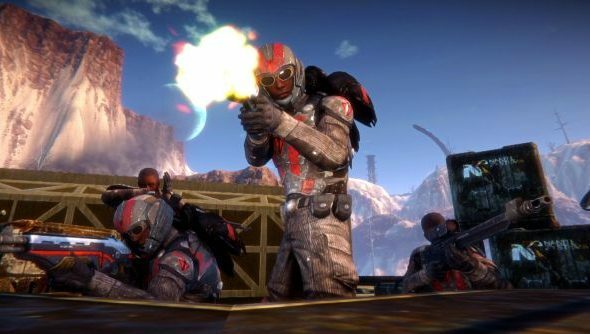 It was only last month that Planetside 2 received a huge update in the way of the Hossin continent, but that won’t stop Sony Online Entertainment from bringing us another. This coming Tuesday will see the deployment of a huge patch that will bring in new features and improvements, such as the Directive system and resource revamp. First up is the new Directives system, which will allow players to choose a specialisation and receive rewards as they complete goals and achievements. For example if you’re a keen pilot, you can choose a directive that will compliment and reward that style of play. A detailed explanation will be posted with the patch notes come Tuesday. One of the biggest and sweeping changes is the resource revamp. The three standard resources have been condensed down to just one: Nanites. You’ll earn Nanites at a steady rate of 60 per minute. Acquisition timers are also gone, so your only limitation on purchasing vehicles and MAX suits is strictly resource based. Don’t worry though, as any acquisition certs you’ve bought have been refunded. Other smaller improvements include spawning, Outfit and recruitment polish, continent locking tweaks and slew of bug fixes. You can read the patch notes in their full length glory here.